For those parents needing to designate a single, alternate pick-up/drop-off address for their student for the 2011-2012 school year, the deadline for submitting Alternate Transportation Forms is Wednesday, June 15, 2011. 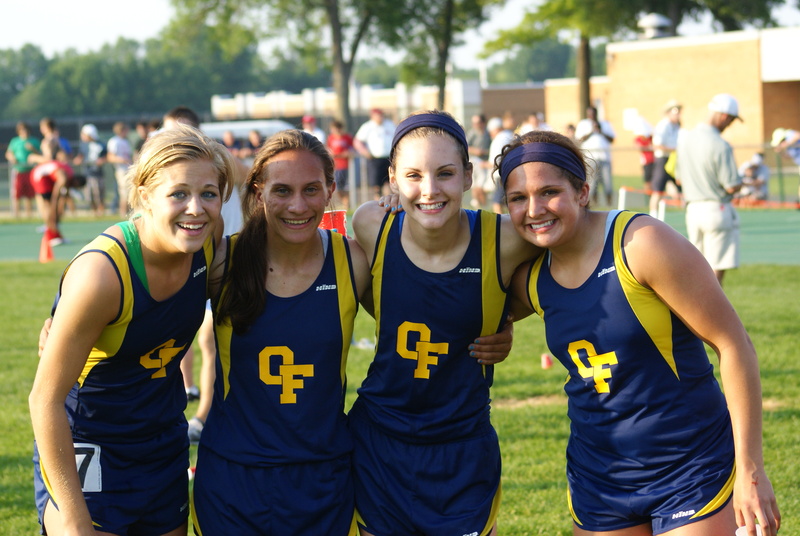 Olmsted Falls High School was represented at the state track meet on June 3 and 4 in Columbus by the girls 1600 Meter Relay Team (pictured at left). Seniors Megan Coughlin and Dayna Roberts teamed up with junior Kelsey Snider and sophomore Allison Duber to place 15th at the state meet. This was the second straight year this quartet has made it to the state meet. The lady Bulldogs qualified for the state meet by finishing fourth at the Amherst Regional Meet where they broke their own school record with a time of 3:55.74. With the summer break officially underway, this blog post will be the last blog of this school year. It has been a pleasure to share the news from our District with you on a weekly basis. Regular weekly blog posts will resume in mid-August, as we prepare for the start of the 2011-2012 school year. Congratulations to the 294 members of the Class of 2011! Parents, family and friends gathered at Cleveland State’s Wolstein Center last Thursday evening to celebrate Commencement. 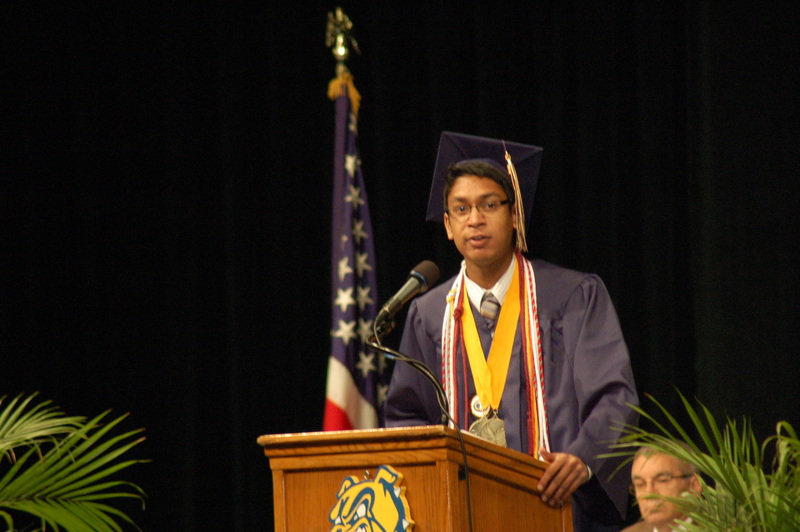 Valedictorian Michael Coury and Salutatorian/Class of 2011 President Soumyajit Mazumder were featured speakers, along with School Board member Michelle Theriot, Superintendent Dr. Todd Hoadley and Principal Dr. Robert Hill. In spite of continually challenging economic times, support of the Olmsted Falls Local Scholarship Program grew this year. More than 200 scholarships were awarded to Class of 2011 graduates thanks to the very generous support of local individuals, families, businesses and organization who contributed to the Local Scholarship Program this year. This annual generosity is part of what makes Olmsted Falls a truly special place for students. Thank you to each of this year’s Local Scholarship Sponsors! 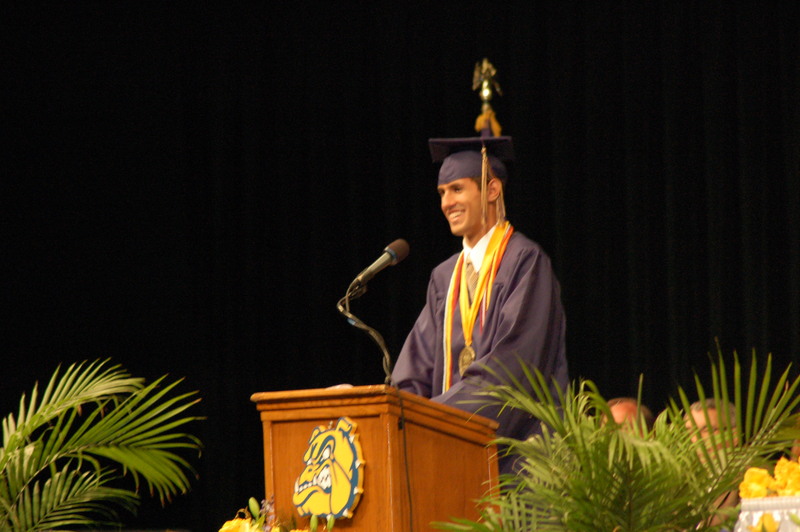 To view the complete list of Local Scholarship Awards for the Class of 2011, please click here. Students in the Class of 2011 also earned an impressive collection of College/University and other scholarships this year. To review a list of students who were awarded College/University and other scholarships this year, please click here. Congratulations to all of our scholarship award recipients from the Class of 2011! Parents, family and friends joined eighth grade students earlier this week as the students marked the end of their three years at Olmsted Falls Middle School with a special 8th Grade Graduation Ceremony. Congratulations 8th graders! Best wishes for your upcoming freshmen year at OFHS! To view a collection of photos from this event, please click here. 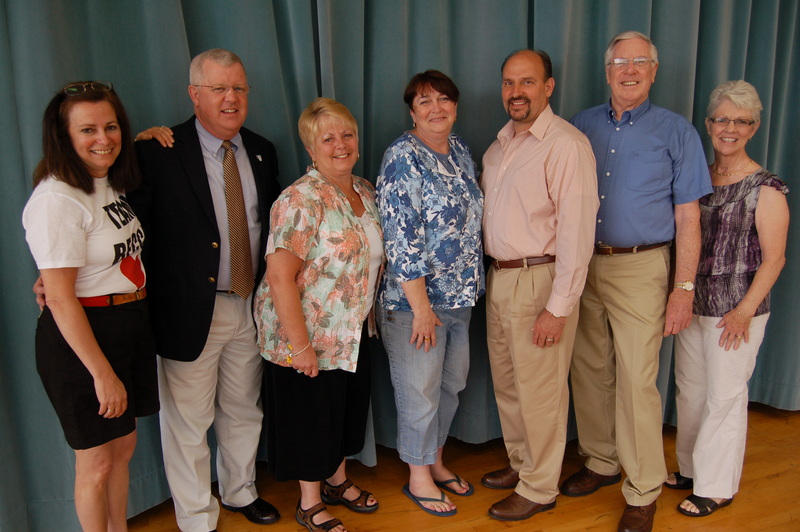 Retirees pictured (L to R): Sally Schuler, Neil Roseberry, Roberta Thompson, Leslie Sedlay, Alan Cantrell, Mike Brady, and Nancy Chidsey. Olmsted Falls School District bids farewell to seven dedicated staff members retiring this year. Their combined service to Olmsted Falls Schools totals 170 years! Each was recognized this morning during the District’s Annual Records Day Breakfast for Staff. On behalf of the Olmsted Falls Schools and the Olmsted communities, we extend our heartfelt appreciation to each of this year’s retirees for their commitment to the education and well-being of our children. These valuable individuals, and their impact on the District, will be greatly missed. Congratulations to each of them, and best wishes for a happy, healthy retirement! 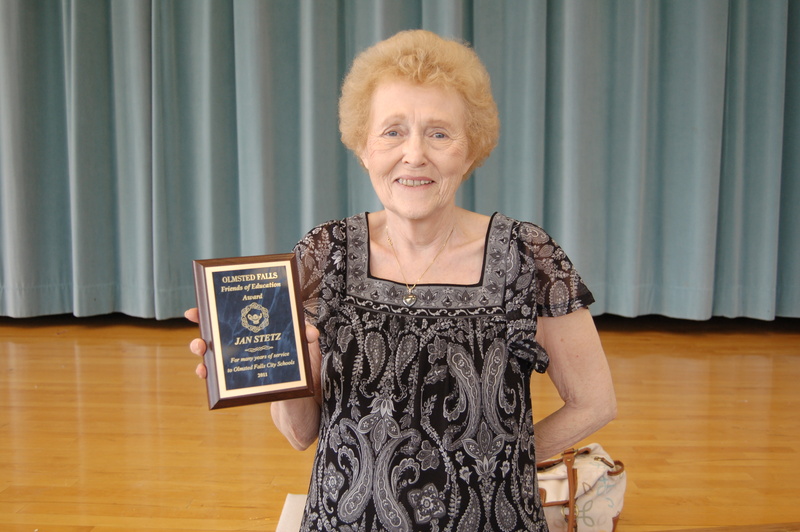 Congratulations to Janet Stetz, former librarian at Olmsted Falls High School, on receiving this year’s “Friends of Education Award” presented by the Olmsted Falls Education Association. Janet Stetz continues to support Olmsted Falls School District by volunteering at the High School. She is a valuable resource for teachers who can count on her to assist with preparation of materials and other tasks, which help provide them more time to focus on classroom instruction. Congratulations and much gratitude to Janet Stetz! 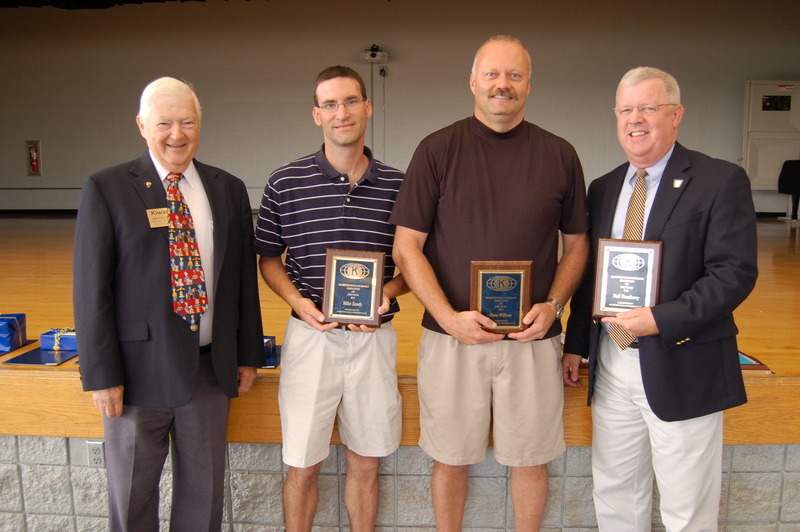 Mr. Denny Mozier from the Olmsted Falls Kiwanis Club (far left) congratulates Kiwanis Employee of the Year winners (L to R): High School Custodian Mike Sandy, Middle School Math Teacher Dave Willson and Falls-Lenox Principal Neil Roseberry. Staff members are nominated annually by fellow colleagues through a written nomination process. Nominations are reviewed and selected by a special committee of Kiwanis members. Congratulations to the 2011 Employees of the Year, and thank you to the Kiwanis Club for their continued support of the Olmsted educational community. Cleveland Magazine’s annual “Rating the Suburbs” issue has just hit newsstands, and Olmsted Falls School District has earned a ranking of 15th among the 57 area school districts rated. The annual survey rates school districts based on a number of categories including ACT/SAT scores, proficiency test results, attendance, graduation rates, number of AP courses offered, National Merit scholars, and more. Congratulations to the staff, students and parents of Olmsted Falls School District for the important part you play in keeping our District excellent! A breakdown of official results from the May 3, 2011 election is now available on-line. The 2.8 Mill P.I. Levy – which would not raise the current level of school taxes for residents – was defeated by a margin of 54% AGAINST THE ISSUE and 46% FOR THE ISSUE. A total of 5,335 votes were cast representing approximately 30% of registered voters in the District. To review official results, including precinct breakdowns, please click here. The Olmsted Falls Board of Education continues its discussions regarding the decision to put the issue back on the ballot in November. Passage of this P.I. Levy – which would not increase the current level of taxation – remains a critical component to the District’s financial health. Looming cuts at the state level made passage of the 2.8 Mill P.I. Levy even more urgent. A final decision on this issue will be made over the summer. Passage of this 2.8 Mill P.I. Levy would be needed before the end of calendar year 2011 in order to maintain the ability to redirect critical funding without increasing the current level of taxation. Information on this summer’s Bulldog Marching Band Camp is now available on-line, along with other important High School Instrumental Music dates for the 2011-2012 school year. Congratulations to PTA member Heather Hetchler for receiving this year’s PTA Volunteer of the Year Award at the annual PTA Volunteer Celebration and Installation Dinner recently held at Olmsted Falls Middle School. Mrs. Hetchler was nominated for this year’s honor by the PTA unit at Olmsted Falls Intermediate School. She has been an active PTA member since 2003 and has been active in the Early Childhood, ECC/Falls-Lenox, Intermediate, and Middle School levels. Mrs. Hetchler was the leading force behind bringing the “Friends of Rachel Club” to students this year. Congratulations also to Olmsted Falls Middle School English/Reading Teacher Nancy Gulden on being named PTA Educator of the Year for her ongoing dedication to the Parent Teacher Association and her daily commitment to students. 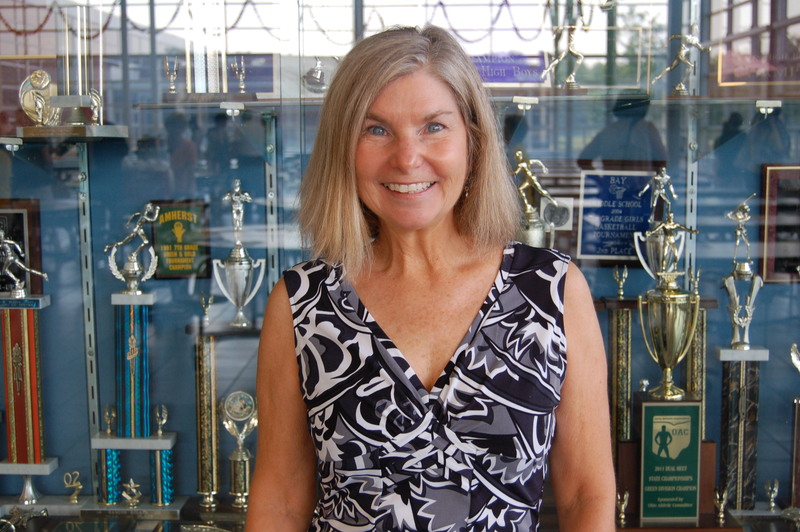 A National Board Certified teacher with 33 years of experience, Mrs. Gulden also serves as coach of the Middle School’s Power of the Pen Team. Mrs. Gulden has been a loyal PTA member here in Olmsted Falls as well as in her own community. 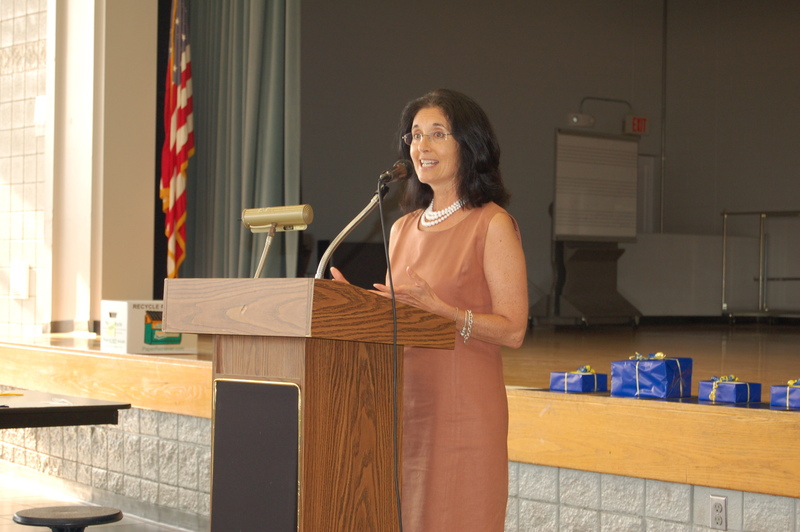 She has actively supported the Reflections program as well as the annual PTA membership drives. Finally, another congratulations to Ohio PTA Helping Hands Award winner Kim Cleary, who was also recognized at this year’s PTA Volunteer Dinner! 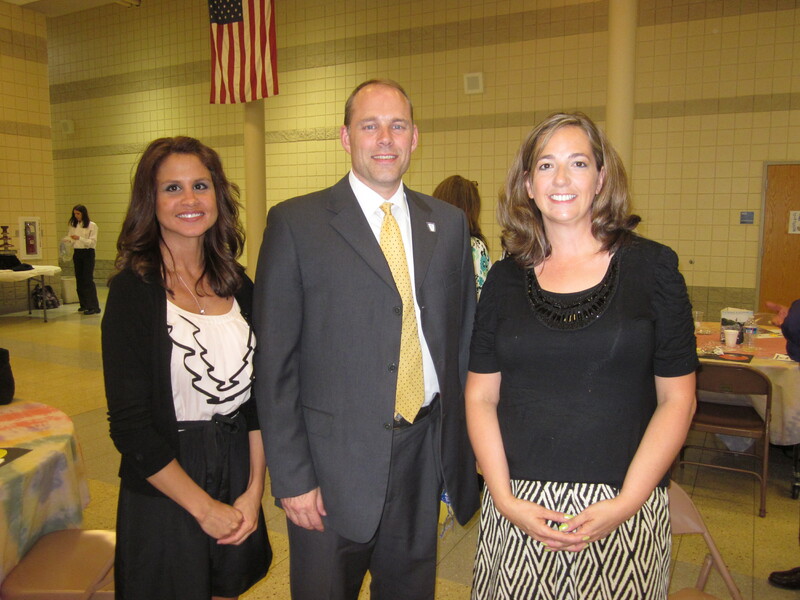 Mrs. Cleary was recently recognized in Columbus for this state-level award as well. DID YOU KNOW? Nearly two-thirds of Olmsted Falls School District staff members participate in the District’s Staff Wellness Program. Launched six years ago in an effort to promote wellness and good health among the Bulldog staff, the Olmsted Falls Staff Wellness Program encompasses a collection of opportunities for staff to engage in healthy activities that promote overall wellness. A healthier staff can also mean fewer insurance claims and the ability to negotiate more favorable rates. Olmsted Falls School District Director of Food Services Denise Tabar updates staff on the results of this year’s Staff Wellness Program. One of the most popular components to the District’s Staff Wellness Program is the Walking Program. Staff members record steps with pedometers and a “Walking Leader Board” is updated monthly throughout the year. 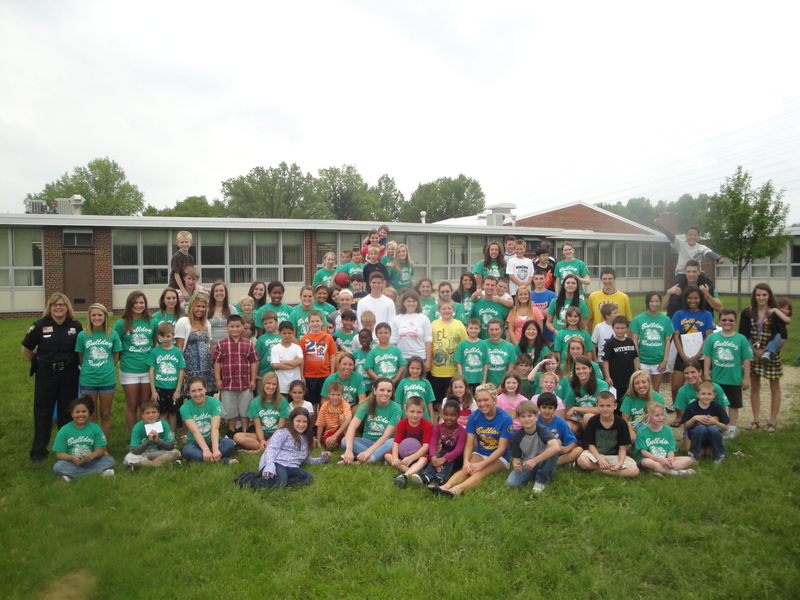 This school year, Bulldog staff members walked a total of 202,087,711 steps from September 2010 through May 2011. That is 101,043.85 miles. That is enough to get you around the earth four times, but slightly less than halfway to the moon. Mrs. Tabar concluded her annual report to staff with a challenge for next year to see if, as a District, staff members can log enough steps collectively to walk to the moon! Congratulations to the “Top 5” bulldog staff walkers for this year: 1. Theresa Haun, 2. Dr. Bob Hill, 3. Laura Connelly, 4. Michael Sandy, 5. Pat Rusnak. As their final social studies project for the year, third grade students at Falls-Lenox Primary School put on quite a display at the Second Annual Wax Museum. Students researched historical figures and modern day personalities to put together displays which they shared with fellow students, staff and guests. Parents, grandparents and other family members and friends packed the gym to tour the rows of students – who were all dressed as the individual they had studied. The push of a button brought each student to life as they recited factual information about their subject. 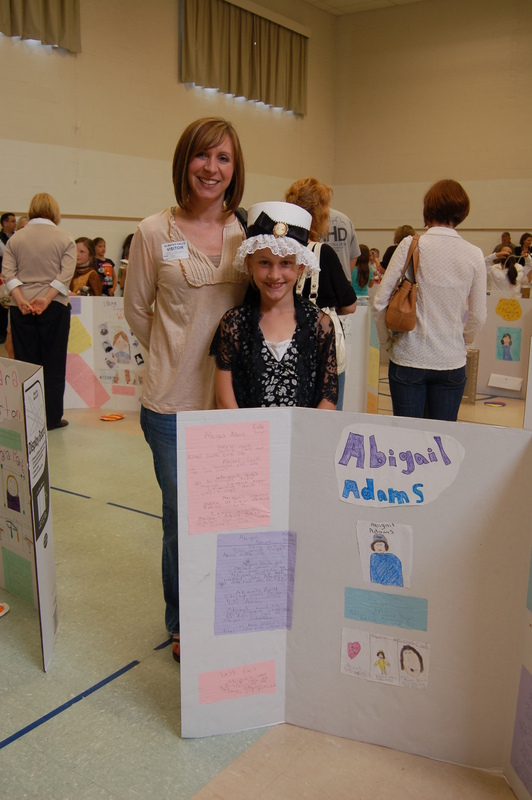 Entertaining and educational, the 3rd Grade Wax Museum was a must see event. To view a collection of photos from this special event, please click here. Congratulations to new Bulldog alumnus Kim Kirkpatrick! The Class of 2011 graduate will attend Kent State University this fall, where she will also play for the college’s softball team. During her time at Olmsted Falls High School, Kim has been selected 1st Team ALL SWC four years in a row; 1st Team ALL NEO District three years in a row; 2nd Team ALL OHIO in 2009; and 1st Team ALL OHIO 2010 & 2011. 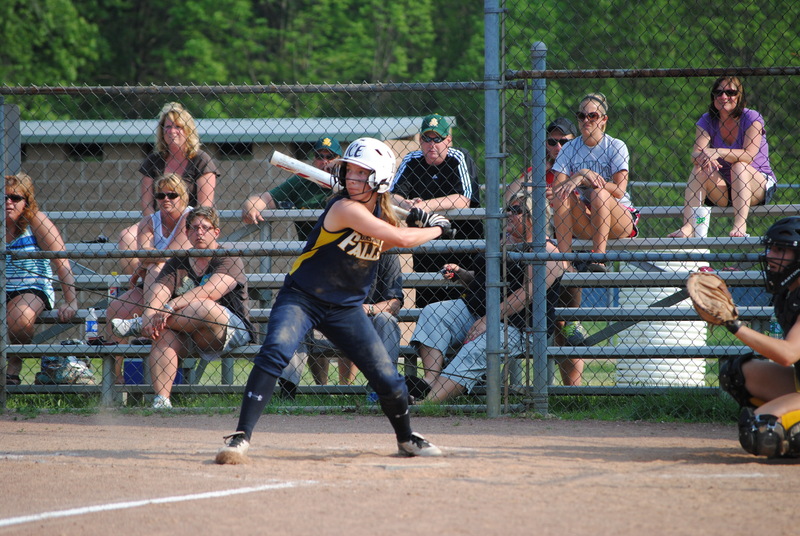 Kim’s softball career at Olmsted Falls has included some prestigious “firsts” for the school. She was the first OFHS softball player ever to be named SWC MVP (in 2010), and just received that honor for the second consecutive year. She was also the first bulldog softball player to make ALL OHIO. Congratulations and good luck to Kim Kirkpatrick! 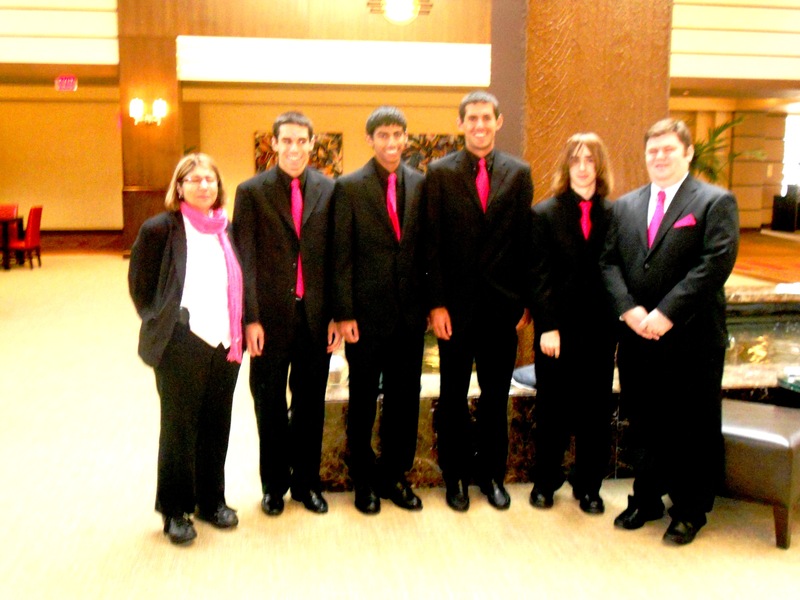 The Academic Team had a good showing at PACE Nationals in Chicago last weekend, placing 21st overall. That’s 21st in the nation! The team fought hard against some of the toughest teams in the country, losing four matches against the #3, #4, #6, and #9 teams in the country on literally the last question of each match. While the losses were disappointing, the team came away knowing that they kept pace extremely well with magnet and gifted schools from across the country! This was the last competition for graduating senior Mike Coury, while Jim Coury still has the All Star Nationals this coming weekend at the University of Maryland (representing Olmsted Falls High School and the State of Ohio) before closing out his high school career. Jim has been the team captain for three years and will leave mighty big shoes to fill! However the future looks bright for the OFHS Academic Team with returning junior Sohan Vartak and sophomore Marty Mendenhall from the A Team, and a host of B and C Team players who will be working for A Team spots next year. Congratulations to all of the members of the OFHS Academic Team! And good luck to Jim Coury in his final competition this weekend! As reported in a recent blog post, the K-Kids Club at OFIS organized a “Kick It for Cancer” Kickball Tournament in conjunction with their annual Field Day event. Kick-It is a national fundraising program that raises money for children’s cancer research. The first-ever “Kick-It” event in Olmsted Falls was a big success with students raising more than $2,500 to benefit CureSearch for Children’s Cancer. Kudos to Mrs. Sharon Stanczak’s class, who alone raised $600 for the effort! Way to go OFIS! Great job K-Kids! To view pictures from the “Kick It for Cancer” event, please click here. The Cuyahoga County Public Library’s Annual Summer Reading Game officially got underway last Saturday, June 4th and runs through August 6th. The theme of this year’s game is “Reading Around The World.” Be sure your child is registered to participate! Olmsted Falls School District strongly encourages participation in the Summer Reading Game by all students as a way to maintain and enhance important literacy skills over the summer months. Reading is its own reward, but when students play this year’s “Read Around the World” summer reading game, they can also earn chances to win great prizes from the Cuyahoga County Public Library’s community partners including: Cleveland Cavaliers, Lake Erie Monsters, Cleveland Indians, Rock and Roll Hall of Fame Museum, Cleveland Browns, Great Lakes Science Center, Cleveland Museum of Natural History, Chipolte Mexican Grill, and Cleveland Metroparks Zoo. If you have a child entering Kindergarten through 5th grade, PTA has a wonderful service for you. PTA has selected First Day School Supplies to be our online site to order the children’s school supplies. Supply lists have already been submitted to the company. All you have to do is go to www.1stdayschoolsupplies.com and pick the school and grade your child will be entering in the fall. The supplies will be delivered to the school and can be picked up on visitation day or on the 1st day of school. The supplies come in boxes labeled with your child’s name and grade. The best part of this online service is you don’t have to order the entire list. If you don’t need crayons, just click that item and it will be removed from your order. Or if your child likes to pick their folders, you can remove them for the items listed. We know with working parents and busy schedules this might be a service that our parents will enjoy. All kits must be ordered by June 30th. Should you have any questions you can contact Kim Cleary at cleary101@sbcglobal.net. With summer just around the corner, parents may be thinking about what your child will do for meals while school is out. The good news is that the U.S. Department of Agriculture has partnered in our local community with agencies to serve free meals. It’s food that’s in, while school is out. There are no income requirements, and any child under age 18 may come to eat. For a listing of local Summer Food Service sites in nearby North Olmsted, please click here. 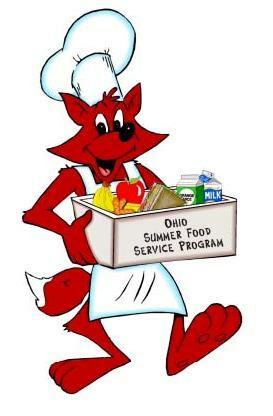 Additionally, below is a website with a map of all of the Summer Food Service sites operating throughout Ohio. First click on the website: https://oh.cnpcares.com/summer/SfspFoodServByCnty.asp. Then, click on the county where your children will be, if there are sites operating in that community, they will be listed. If more information is needed about the site, call the contact information provided. Many of the sites also provide activities for the children coming to the site. The Olmsted Falls Lacrosse Association is wrapping up a very successful second season. The program has grown from one team of twenty boys to five teams of one-hundred boys and girls. The program participated in a total of 72 games against teams from Ohio and Pennsylvania, and the non-stop, competitive action provided many thrills for players, parents, and fans alike! Lacrosse is known as the fastest sport on two feet and is also the fastest growing sport in the United States with a 10% increase in participation at the youth and high school levels over the last year and a phenomenal 600% growth rate over the last ten years. The Olmsted Falls Lacrosse Association is proud to offer, for the second straight year, a three-day summer camp to introduce kids to the excitement of lacrosse. The camp will run in the evening July 11th – 13th. Additional details and the registration form can be found at http://www.olmstedfallslax.com. Attention Parents! Border’s Books is offering a summer reading program for students. The “Double Dog Dare Challenge” is for children ages 12 and under. Encourage your child to read 10 books and they get a free book from Borders! Simply click here to print the form. Your child tracks his/her summer reading and turns it in at Borders. Enjoy! With the recent storms that have come through the area, a lot of “storm chasers” have moved in. Please click here to review a Public Service Announcement to help residents become aware of what to watch out for if someone knocks on their door stating they are able to see storm damage. OLMSTED TOWNSHIP PRESENTS: “RAIN BARREL WORKSHOP” – TOMORROW, Thursday, June 9th, 3:00 – 4:30 at the Olmsted Township Hall; and 6:30 to 8:00 p.m. at Olmsted Falls Middle School Cafetorium. Learn how to harvest rain water for all your garden needs and to combat Storm Water Pollution in your community. Click here for more information. OLMSTED FALLS RELAY FOR LIFE EVENT – THIS WEEKEND!! Saturday, June 11, 2011 from noon to noon Sunday, June 12, 2011 at Olmsted Falls High School Charles Harding Memorial Stadium. All are welcome and invited to attend – please bring family and friends to this event to help fight cancer. Tons of activities and entertainment – around the clock! Don’t miss this great community event! It is also never too late to join this great cause and register as a survivor or to start your own team. For questions, please call Co-Chairs Michelle LaGruth at 440-476-4697 or Lisa Brady at 216-870-8256. JOHN SANDERS MEMORIAL GOLF OUTING – Saturday, July 16th – Tee Times begin at 9:30 a.m. Save the Date! The Olmsted Falls Schools Endowment and Alumni Association will host its annual John Sanders Memorial Golf Outing on Saturday, July 16th. All proceeds benefit the scholarships for OFHS graduating seniors. For additional information, please click here. TONIGHT! Wednesday, June 1st – OFHS Baccalaureate Ceremony – OFHS Auditorium – 7:30 p.m.
Thursday, June 2nd – OFHS Commencement Ceremony – CSU Wolstein Center – 8:00 p.m.
Monday, June 6th – 4th Grade Honors Day – 8:30 a.m.
Monday, June 6th – 7th Grade Honors Program – 9:30 a.m.
Monday, June 6th – 8th Grade Honors Program – 12:30 p.m.
Monday, June 6th – 6th Grade Honors Program – 1:45 p.m.
Monday, June 6th – OFHS Athletic Banquet (Baseball, Softball, Boys Tennis) – 6:30 p.m.
Tuesday, June 7th — 5th Grade Honors Day – 8:30 a.m.
Tuesday, June 7th – 8th Grade Promotion Ceremony – 10:15 a.m.
Tuesday, June 7th – LAST DAY FOR STUDENTS! 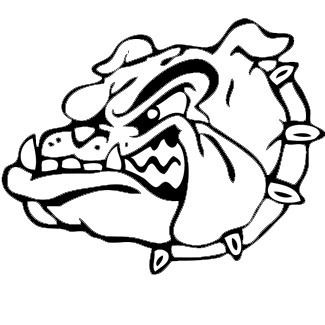 Tuesday, June 7th – OFHS Athletic Banquet (Track & Field) – 6:30 p.m.
OFHS students who participate in the Bulldog Buddies Program joined their “little buddies” at Falls-Lenox last week for an ice cream social to celebrate the end of this year’s program. A collaborative effort between OFHS, OFMS, Falls-Lenox and the ECC, provides an opportunity for high school students to volunteer their free time to act as a mentor to Little Buddies. Nearly 175 students (Big and Little Buddies) were involved this year – which was just the second full year of the Bulldog Buddies program. Kudos to our high school students involved in this program for serving as outstanding role models for our younger students! A special thank you to all those who make the Bulldog Buddies program possible, especially Detective Jackie Ketterer who sponsors the program through Olmsted Township Police Athletic League (PAL) by buying t-shirts for all participants and supporting the ice-cream social. Hope Burkhart receives 1st Place Reflections Award in Film/Video category in Columbus. Students in preschool through grade 12 are encouraged to create and submit works of art in six categories to participate in the annual competition: visual art, photography, dance choreography, music composition, film/video and literature. Approximately 16,000 students participated from schools across Ohio. The Ohio PTA awards state winners a certificate and ribbon. 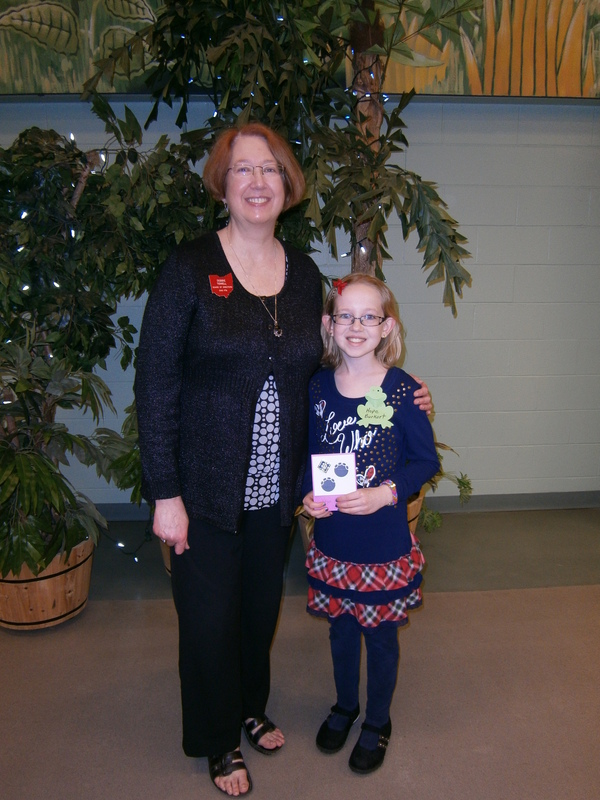 First, second and third place winners enjoyed a Reflections Celebration at the Columbus Zoo & Aquarium. Congratulations again to our local students for making an impression at the state-level! ATTN: PARENTS – ANNUAL SUMMER READING GAME GETS UNDERWAY THIS WEEKEND! The Cuyahoga County Public Library’s Annual Summer Reading Game gets underway this Saturday, June 4th and runs through August 6th. The theme of this year’s game is “Reading Around The World.” Olmsted Falls School District strongly encourages participation in the Summer Reading Game by all students as a way to maintain and enhance important literacy skills over the summer months. Reading is its own reward, but when students play this year’s “Read Around the World” summer reading game, they can also earn chances to win great prizes from the Cuyahoga County Public Library’s community partners including: Cleveland Cavaliers, Lake Erie Monsters, Cleveland Indians, Rock and Roll Hall of Fame Museum, Cleveland Browns, Great Lakes Science Center, Cleveland Museum of Natural History, Chipolte Mexican Grill, and Cleveland Metroparks Zoo. OLMSTED TOWNSHIP PRESENTS: “RAIN BARREL WORKSHOP” – Thursday, June 9th, 3:00 – 4:30 at the Olmsted Township Hall; and 6:30 to 8:00 p.m. at Olmsted Falls Middle School Cafetorium. Learn how to harvest rain water for all your garden needs and to combat Storm Water Pollution in your community. Click here for more information. OLMSTED FALLS RELAY FOR LIFE EVENT – Saturday, June 11, 2011 from noon to noon Sunday, June 12, 2011 at Olmsted Falls High School Charles Harding Memorial Stadium. It is never too late to join this great cause and register as a survivor or to start your own team. All are welcome and invited to attend – please bring family and friends to this event to help fight cancer. For questions, please call Co-Chairs Michelle LaGruth at 440-476-4697 or Lisa Brady at 216-870-8256.